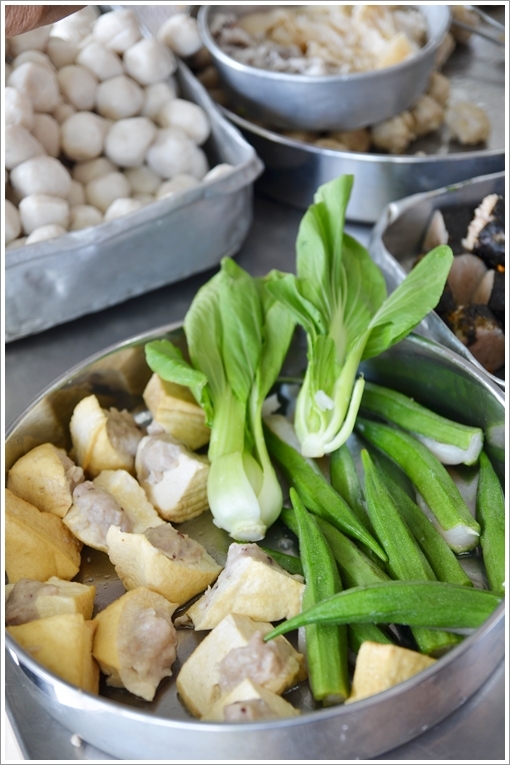 “Sar Kok Liew” aka Stuffed Yambean/Jicama is but one of many Ipoh’s signature street fares. 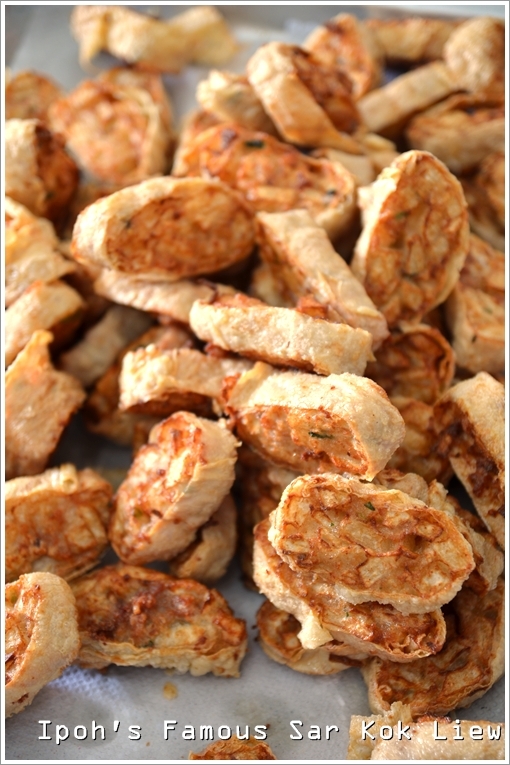 Diced, or cubed yambean with beancurd sheet deep fried to a crispy finish, but most importantly; the moisture within must be retained for that juicy crunch. If you had taken Motormouth’s words for it, you would have remembered how I had paltry affairs with both the K10 claypot chicken rice outlets in Ipoh. First the one in Ipoh Garden East, and the original one in Bercham. And you wonder why was this post is named as such? (ie : Redemption) And what’s a claypot chicken rice specialist doing serving “Sar Kok Liew”?!! Read on for the revelation. Redemption because I found a reason to visit K10 in Ipoh Garden East (Bandar Baru Medan Ipoh, actually) NOT for their signature claypot chicken rice in the evenings, but for breakfast of fishball noodles, fondly referred to as ‘liew fun’ in the mornings. A good emulator of the famous Gunung Rapat’s stall, but definitely lose out in the varieties department. Modus operandi? 1) Grab a porcelain bowl and a pair of tongs from the counter. 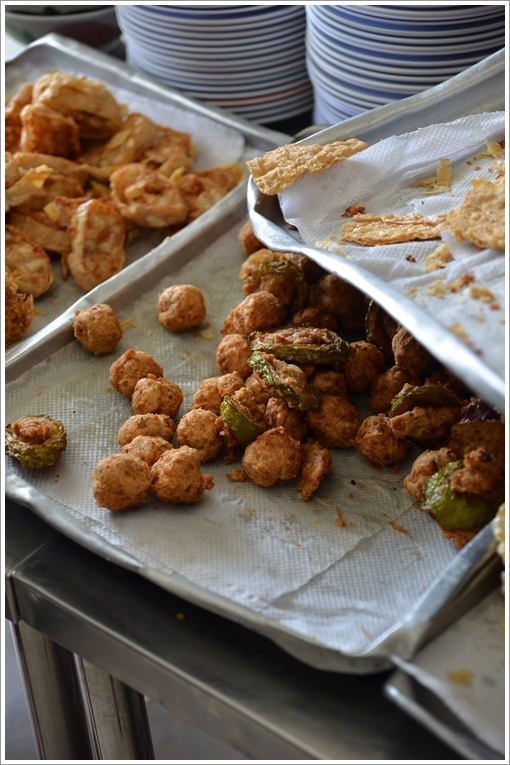 2) Jostle with the crowd and grab your favourite pieces and place them in the bowls. 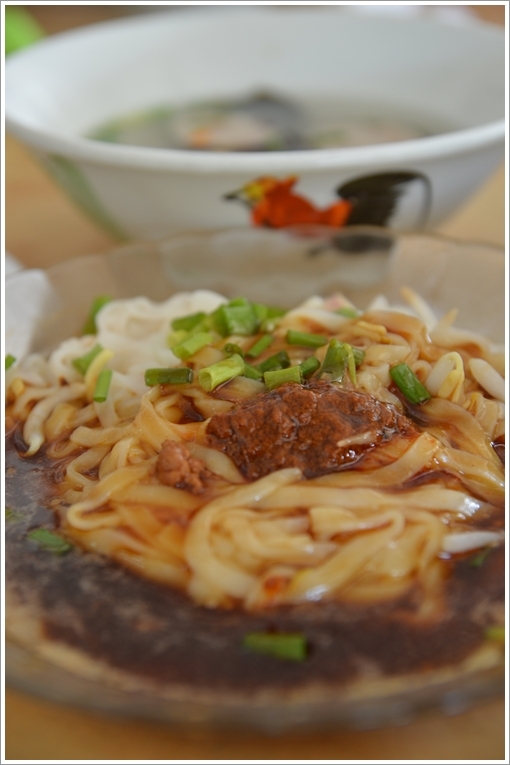 3) Pick your noodles of choice (optional) and sit patiently, read the dailies or continue your Sunday’s sluggish sleep. “Zha Yuen” literally translated to fried meatballs is one of the more famous export of Kampar; a town about 40km south from Ipoh. This stall serves good ‘zha yuen’ in the food court in Kampar. Essentially, you get to treat the dark, gluttony side of your alter ego to a feast. Laid out on the counter in front of the shop were an impressive range of stuffed fish paste, fish balls, fried beancurd sheets, the ‘sar kok liew’ in the first shot of this post, etc. People (ourselves) included tend to over-gauge the capabilities to consume everything in sight. But then again, the long-ish wait for the noodles kind of marred the overall experience. They will serve to you the cooked/fried items first, so you can munch on them before throwing hunger tantrums. But this somewhat defeats the purpose as the noodles go well with the ‘yeung liew’, rather than eaten on their own. Scarily reddish curry, but trust me this was as mild as curry can be. Which can be a good thing, since the tampered spiciness won’t overwhelm the flavours or torch the tastebud. The dry curry variety fared poorly though. Just a dollop of curry paste on the noodles (in this case I chose the incomparable Ipoh’s sar hor fun), but did not do much in lifting the flavours to a gastronomical stratosphere, so to speak. Fresh, juicy and perfectly cubed (not mashed or simply diced) yambean rendered the experience memorable. This was no doubt one of the better ones in Ipoh. And I was told that they have another variety of stuffed yambean, a different appearance almost like a fried dumpling (sui kow) variety. But sadly, they ran out of stock that morning. And that’s the BEST of the lot, claimed Mum. Pretty hard to ignore the stark green facade huh? And the immense crowd. Avoid this on weekends if you don’t have the patience to wait for it. But if you’re one who embrace the bustling ambience, then drop by for a breakfast brimming with the charming aura of Ipoh. *The breakfast came to only RM16.20/USD5.40 for three people. 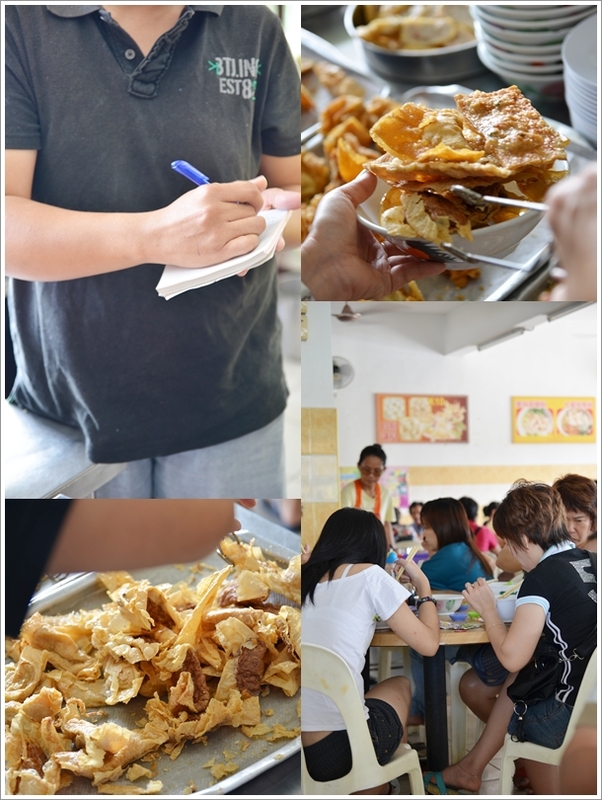 We had more than 10 pieces of ‘yeung liew’ (close to 20, even), and 3 bowls of noodles. A steal, in comparison to what I have been paying here in KL, and even some eateries in Ipoh. Opens only for breakfast, until early lunch. 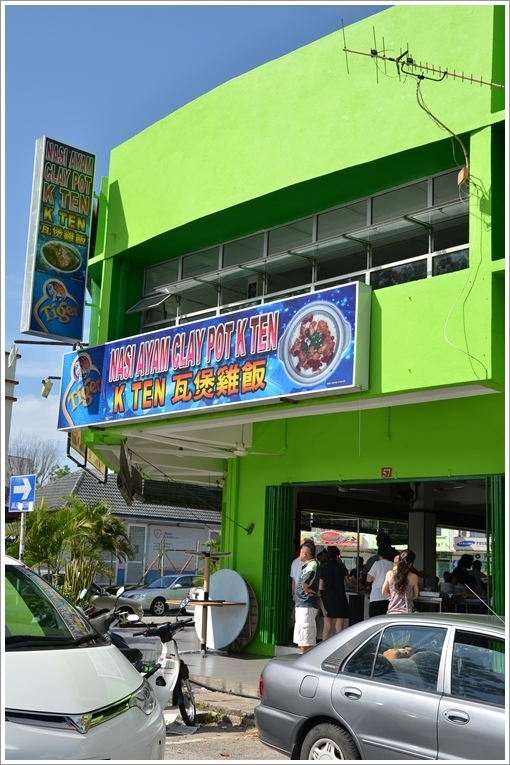 Claypot chicken rice stall opens in the evenings. Yeah …. I can see some stalls in KL already started replicating this. 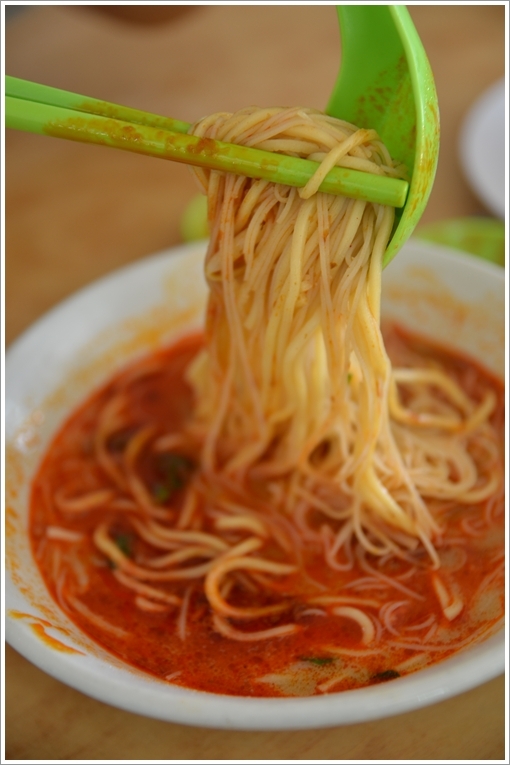 There’s one in SS2, named Ipoh Sedap that serves Ipoh style of noodles, CCF and such with sar kok liew. But not as good though. new one? 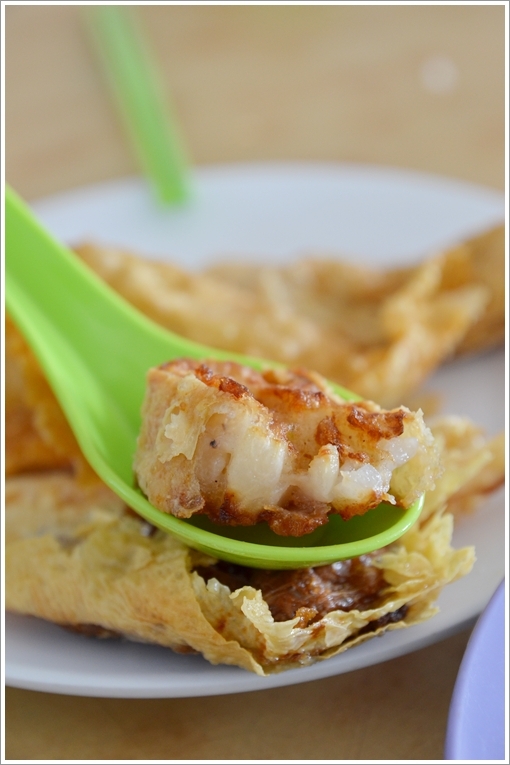 must try…..I wonder is there any Ipohite who doesnt love liew fun…haha…I am definetely a big fan!!! Indeed! Can’t beat good old Ipoh ‘liew fun’ eh? My gawd, that was dirt cheap! It would costs about triple the price in KL/PJ. I was surprised too. Coz soooo long haven’t eaten food THAT cheap. Moreover, that was an overkill, we chose more than we could digest. I was born and bred up in Ipoh and since have moved to live in Sabah more than 40 years. Unfortunately here in Sabah one could not get to eat Sar Got Liew and how I wished someone will master the skill and make this stuff and supply to all mee stalls in KK and other towns. 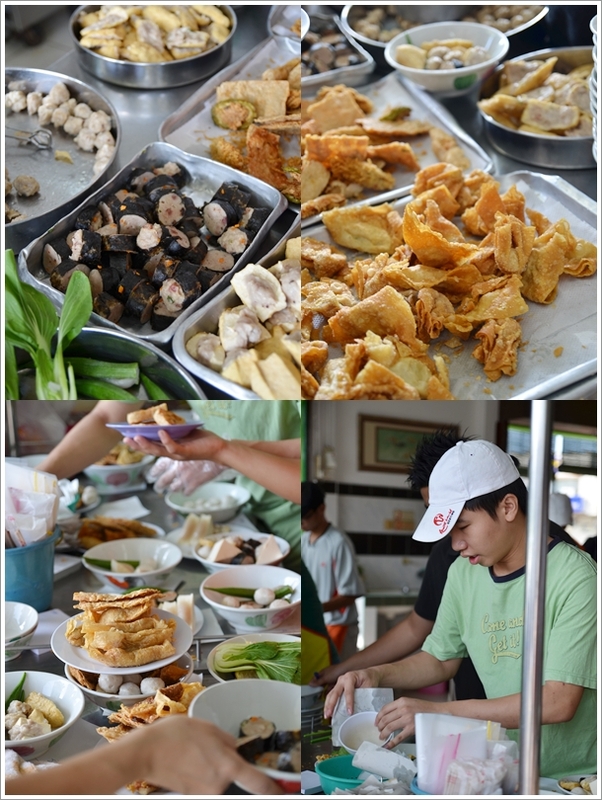 I really miss Ipoh food especially the morning breakfast of low si fun topped with an assortment of liew. Hi Chee Lee. Oh you’re in KK now? Can you recommend some great food from there? Preferably those you can’t find anywhere else in Peninsular Msia. Just visited this stall today 23/10/2013. The sar kok lieu is getting smaller and smaller and quality of their curry is only average nowadays. SO disappointed that the owner now places profit ahead of providing quality food!!! !